Twitter Reacts To Moshidi Motshegwa Exiting The River. Sad news for loyal fans of The River telenovela. 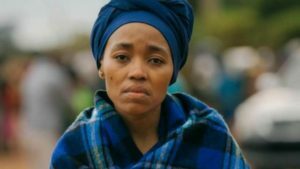 One of the lead actresses on the show Moshidi Motshegwa won’t be coming back for season II. The veteran actress spoke to radio personality Azania about her status on the show. Her contract unfortunately has not been renewed for season II. Moshidi’s contract expired last year and it has not been renewed. “I shot and when I finished that day they said they don’t have a story anymore and that was it. I left,” she said. She played the character of Malefu, a force of a woman. This is short sighted on the part of #TheRiver1Magic #Malefu was a central character. The post Twitter Reacts To Moshidi Motshegwa Exiting The River appeared first on Youth Village.